Voters approved marijuana-related ballot initiatives in Michigan, Missouri, and Utah on November 6, but North Dakota voted down a bid to make recreational marijuana legal. Recreational marijuana is now legal in 10 states and medical marijuana is legal in 31. Michigan’s new recreational marijuana law is expected to take effect in early December. Retail sale of the drug is not expected to take place for a year, although the drug can be legally used by people over age 21 after the law takes effect. The law allows a person to grow up to 12 plants for personal use. Employers may continue to enforce workplace drug policies. They may refuse to hire a person or fire an employee who violates a workplace drug policy and do not need to accommodate the use of the drug at work. Employers in Michigan should review their workplace drug policies and make sure they are up-to-date in light of the new law. Employees should be made aware of a workplace drug policy and any consequences for marijuana use or for a positive test for marijuana. Utah voters legalized the use of medical marijuana for patients with qualifying conditions. The ballot initiative does not mention employers, although workplace provisions could be part of a bill that state lawmakers are expected to take up before the end of the year. Governor Gary Herbert has said he will call a special session to allow lawmakers to consider legislation that could change the ballot initiative passed by voters. Employers in Utah should watch for any changes the legislation may bring to workplace drug policies. Missouri’s new medical marijuana law contains some protections for employers, as it prohibits a person from bringing a claim against an employer for disciplining or firing an employee for working or attempting to work while under the influence of marijuana. The initiative takes effect on December 6, 2018. The state Department of Health is to make patient applications available by June 2019 and begin accepting applications from patients and dispensaries by August 2019. Employers in Missouri should review their workplace drug policies and make any updates needed because of the new law. A ballot initiative to legalize recreational marijuana for adults age 21 and older was rejected by North Dakota voters. The law would have removed tetrahydrocannabinols, the main psychoactive ingredient in marijuana, from the list of controlled substances in the state code. It would have also cleared convictions for a legalized controlled substance from a person’s record. 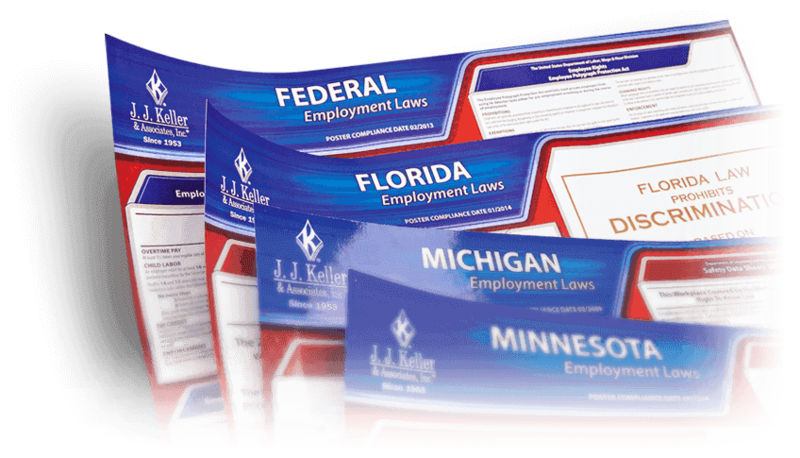 This article was written by Terri Dougherty, SHRM-CP, PHR, CLMS, of J. J. Keller & Associates, Inc.
J. J. Keller's comprehensive line of labor law posters help you meet local, state and federal posting requirements.